Varun Chakravarthy was an unheard name in the Indian scheme of things, but that was until the IPL auctions. Varun Chakravarthy is the latest millionaire in the Indian Premier League. He was bought for a whopping 8.4 crores by Kings XI Punjab. Varun Chakravarthy had left cricket for quite a good number of years to concentrate on his job and studies. He became an architect but then he turned his tide towards cricket once again. Before going for a huge sum in the IPL, Varun had proved his worth in the TNPL with 9 wickets from 10 games. He was the star in the Vijay Hazare Trophy as well with 22 wickets. 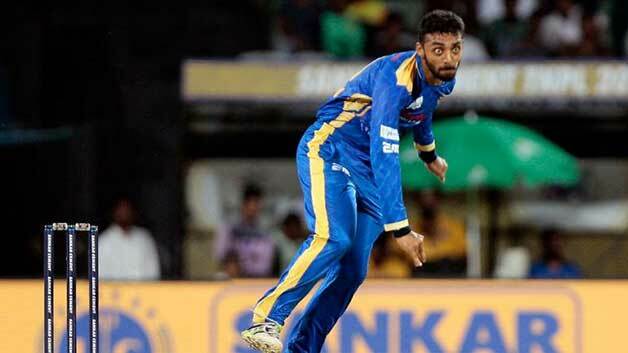 Varun Chakravarthy has an un-orthodox action and is said to possess as much as 8 variations of spin in his armoury.